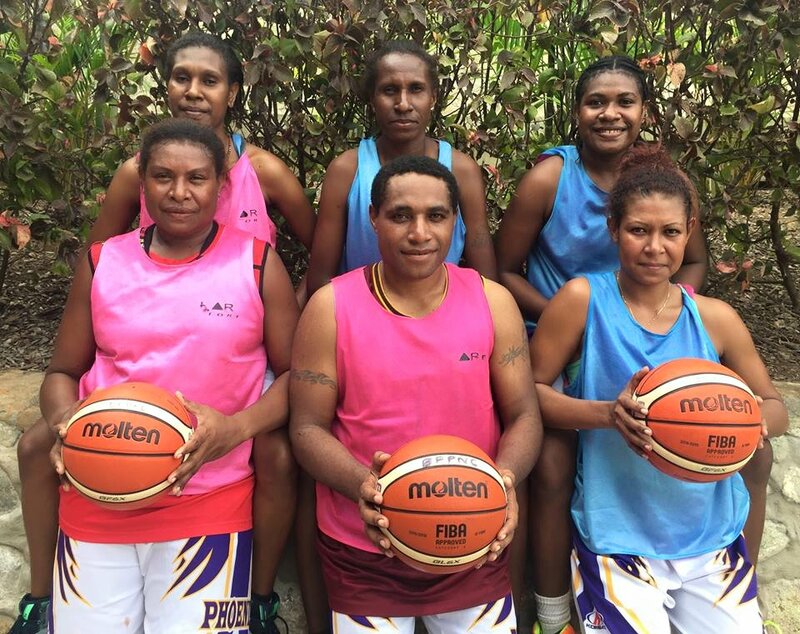 It's been a long two-years for seven representatives of the Pepsi PNG Women’s National Basketball Team. Betty Angula, Emily Koivi, Cindy Elavo, Marca Muri, Mary Elavo, Nester Sape and Rosa Kairi were all members of the women’s national side that finished in fourth place at the 2015 Pacific Games. “We felt like we should have won a medal,” Angula said when reflecting on 2015. The PepsiPNG Women’s National Team will open their 2017 FIBA Melanesia Basketball Cup campaign against defending Pacific champions Fiji. The players are looking forward to playing the Oceania powerhouse, who recently competed in the FIBA Women’s Asia Cup tournament in India this past July. Following the Fiji match-up, the host side will then face New Caledonia on Thursday afternoon before taking on the Solomon Islands on day three. 19-year old Rosa Kairi was also thrilled about representing her country once again. The point guard has improved immensely over the last 12-months, following her attendance at the FIBA Pacific Youth Leaders Basketball Camp which was held on the Gold Coast last September. “The FIBA Pacific Youth Leaders Basketball Camp was great for me and helped me become a better player.” Kairi said. “It’s always great playing for your country, especially at home in front of family and friends and we hope the big crowd will help lift us in the tough games,” Kairi added. Veteran forward and recently named Team Captain Marca Muri said it was Papua New Guinea’s time. “Coach has been working us really hard in training and I think the girls are ready to go,” Muri said. The 2017 FIBA Melanesia Basketball Cup presented by Paradise Beverages commences on Wednesday, September 27 at the Taurama Aquatic & Indoor Centre (TAIC).